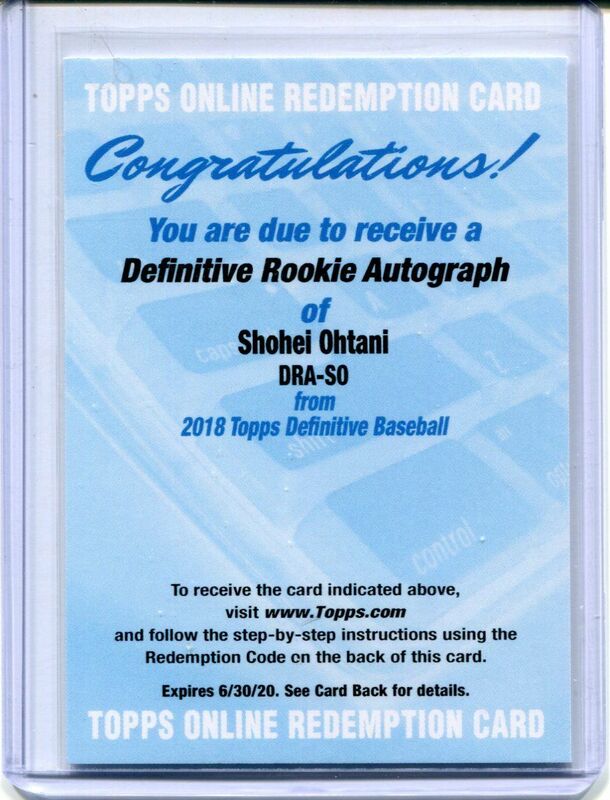 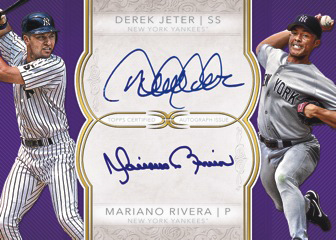 2918 Topps Definitive Baseball ($995 per box), have six autographs plus a pair of premium memorabilia cards. 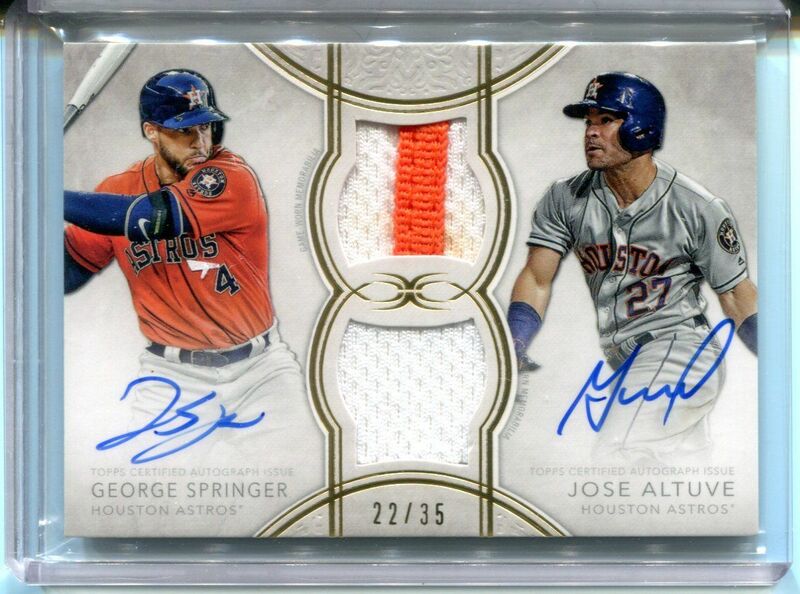 2016 and 2017 saw Topps introduce a handful of new upper tier brands that took the high-end to another level. 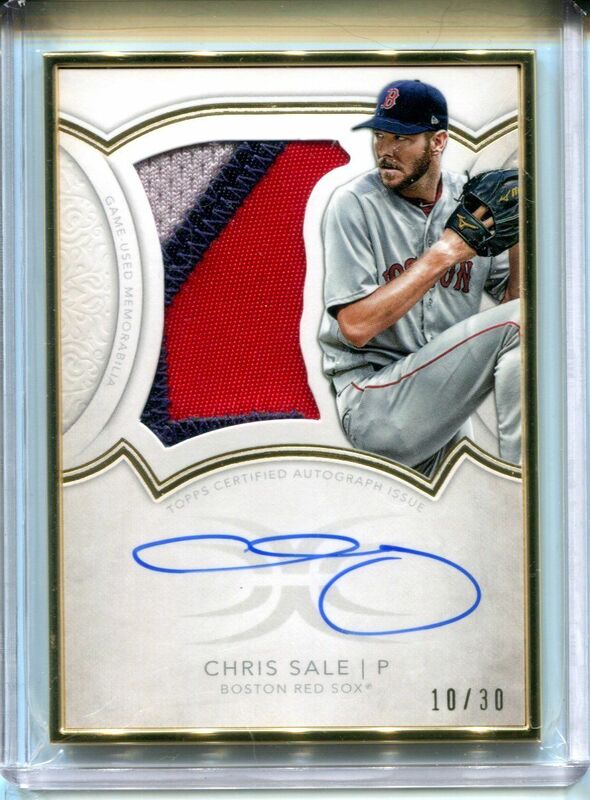 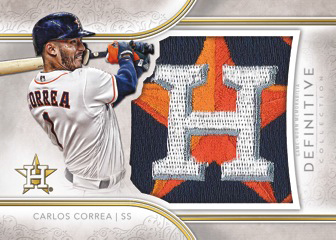 2017 Topps Definitive Collection was one of those new sets, which was received well by its target audience. 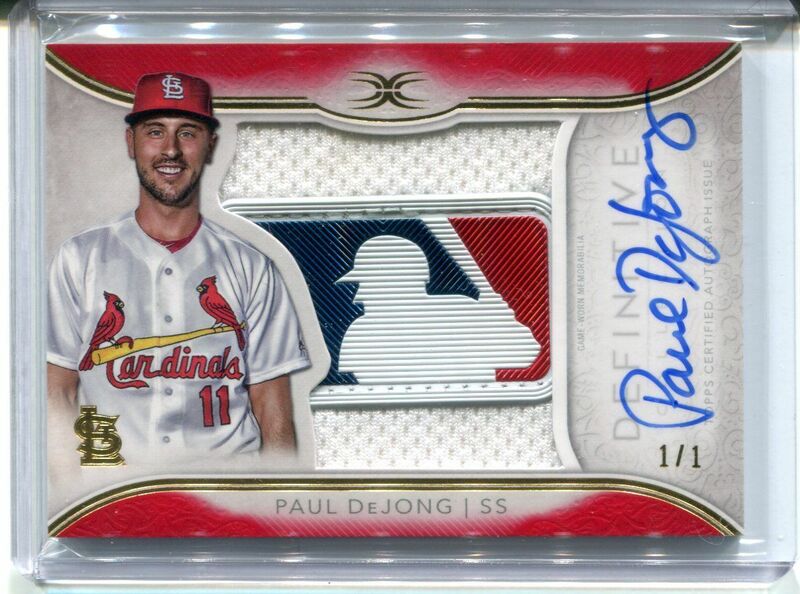 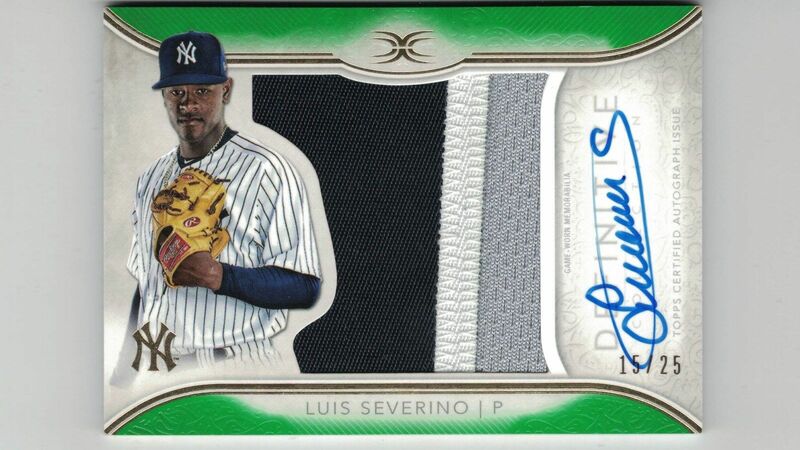 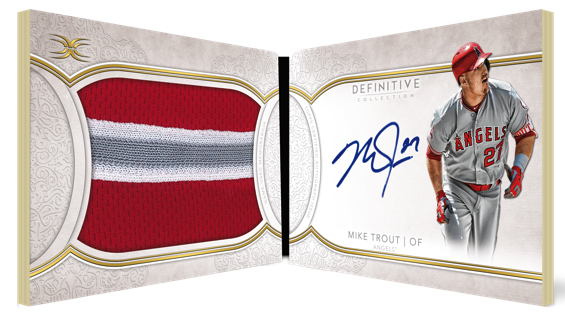 Definitive Collection Autographs take an all-encompassing route fill out its checklist. Current players, retired stars and rookies are all included. One-of-one Red is the only parallel level here.